“Happy was one of seven Asian elephant calves captured, probably from the same herd, in Thailand in the early 1970s. Named after Disney’s seven dwarves, they were shipped to America and sold to circuses and zoos. Happy and Grumpy ended up in the Bronx zoo, where they lived in an enclosure for 25 years. In 2002 they were transferred to a larger enclosure with a second pair of pachyderms, Patty and Maxine. Their new environment was a little closer to the wild one, in which elephants form large families. But Patty and Maxine charged at Grumpy, injuring her. Unable to walk and with suppurating wounds, Grumpy was euthanised. Happy was then paired with a younger female elephant, Sammy. She died of kidney failure in 2006. But meanwhile Happy had become a scientific celebrity. In 2005 she became the first elephant to pass the “mirror self-recognition test”, an indicator of self-consciousness. Scientists painted a white cross over her left eye, and led her to a large mirror. Happy repeatedly touched the marking with her trunk, showing that she recognised herself. Most animals (and human infants) cannot do this. Now Happy is stretching the limits of people’s understanding of animals once again. On December 14th a court in New York state heard a request to grant her a writ of habeas corpus. Steven Wise, a lawyer, argued that, as an intelligent, self-aware being, Happy is entitled to the full protection of the law. Habeas corpus, an ancient common-law principle, guards against arbitrary imprisonment. So far, all applications for habeas corpus relief for animals have been turned down in American and European courts. However, in a case in May 2018 involving Tommy, a chimpanzee, one of the judges said he thought the main argument for denying habeas corpus to chimps was wrong. This is that they lack the capacity to carry out legal duties or be held accountable for their actions. As the judge pointed out, “the same is true for human infants and comatose human adults, yet no one would suppose it is improper to seek a writ of habeas corpus on behalf of one’s infant child.” Happy’s case is likely to drag on for a while. When it is resolved, it could fundamentally alter the way some animals—especially great apes—are treated in law. Over the past few decades, the science of animal cognition has changed people’s understanding of other species. In several, researchers have discovered emotions, intelligence and behaviour once thought to belong exclusively to humans. But the law has changed slowly, and in one respect barely at all. Most legal systems treat the subjects of law as either people or property. There is no third category. Legal persons possess rights—guaranteed protections. Property does not. Because domesticated animals are economic assets, the law has always regarded animals as property. Some lawyers and animal-rights advocates say the time has come to change that, arguing that it is justified both by science and by rising concerns about animal welfare. Opponents reply that to give animals rights would not only be unprecedented but, by erasing distinctions between them and people, would undermine something fundamental to being human. For years, people seeking to improve the lives of animals have sponsored animal-welfare laws. In November, voters in California passed a ballot initiative (a referendum) that requires larger minimum spaces for caged farm animals. In the past decade the European Union, India, Colombia, Taiwan, seven Brazilian states and California have all banned the testing of cosmetics on animals. New York and Illinois banned circus elephants, while voters in Florida banned greyhound racing. Recently, animal advocates have tried to push existing welfare laws into new areas. In Iowa, the Animal Legal Defence Fund sued a private zoo for infringing the Endangered Species Act, which protects wild animals. It won, and the US Department of Agriculture revoked the zoo’s licence. The same organisation, arguing that Oregon law permits victims of violence to sue for redress, filed suit for damages on behalf of an eight-year-old racehorse, Justice, who had been found severely frostbitten and malnourished and whose owner had been convicted of neglect. The suit was denied but is the subject of an appeal. At least eight jurisdictions have written into law that animals are sentient beings, including the EU (in one of its foundational documents, the Lisbon treaty) and New Zealand. These “sentience laws” have had surprisingly little impact. No cases have been brought in New Zealand, for example, which amended its animal-welfare act to say animals are sentient in 2017. But three American states have passed pet custody laws which give the idea of sentience practical meaning. These laws say that if a couple divorces and cannot agree on the terms of separation, the interests and feelings of any animals in the household must be taken into account. Animals are thus treated more like children than furniture. To some animal advocates, expanding existing welfare laws or writing new ones does not go far enough. They argue that such laws fail to protect animals from captivity and that some highly intelligent species, such as great apes and elephants, should not be treated as property at all, but as beings with rights. Animals have appeared in court before. At Clermont in France, a pig was tried and convicted of killing and eating the baby of Jehan and Gillon Lenfant on Easter Day, 1494. It was executed by strangulation. At Autun, in the early 16th century, Bartholomew Chassenée defended rats against a charge of destroying the barley harvest. He persuaded an ecclesiastical court that, since it would be dangerous for the rats to travel to court, they could legally ignore the summons. What has changed is that animals are plaintiffs, not the accused, and lawyers are demanding they be granted the status of legal persons. Other cases have got further. India’s environment ministry said in 2013 that cetaceans (a group that includes dolphins and whales) were “non-human persons” with “their own specific rights”. The ministry told state governments to reject any request to keep cetaceans for entertainment. The following year, India’s Supreme Court ruled that all animals have an inherent right to life under the constitution, though they can still be property. The case concerned a custom called jallikattu in which men tame young bulls, often by mutilating them. The court ruled that “every species has a right to life and security [and] that, in our view, “life” means something more than mere survival…or instrumental value for human beings.” Still, the court said it was up to parliament to write laws safeguarding those rights and it did not change animals’ status as property. The boldest legal challenge has come from attempts to give animals habeas corpus rights. In 2005 animal-rights organisations in Brazil applied for habeas corpus protection for Suiça, a chimpanzee in a zoo. She was found dead in her cage before the court could rule. 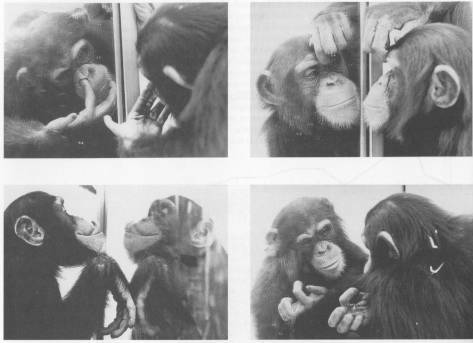 In 2007 Austrian activists applied to make one of their number the legal guardian of Hiasl, a chimpanzee who had been released from a pharmaceutical laboratory. The case ended in the European Court of Human Rights, which rejected the application. Reversals have been frequent. In 2015 a court in New York issued a writ of habeas corpus on behalf of two chimpanzees, Hercules and Leo, but the judge changed her mind the next day, deleting the reference to habeas corpus. Another New York court threw out similar applications for Tommy and Kiko, two more chimps. In the past few years, however, animal-rights lawyers have started to win cases. In 2014 the criminal appeals court of Argentina said Sandra, an orangutan in the Buenos Aires zoo, was a non-human person—though the court has jurisdiction only over animal-cruelty cases, so this was a ruling on welfare, not habeas corpus. The biggest victory came in 2016, when a judge in Mendoza, also in Argentina, ruled that Cecilia, a chimpanzee, was a non-human person who had been arbitrarily deprived of her freedom by being placed in the city’s zoo. He ordered her to be taken to a sanctuary in Brazil, where she remains. It was the first ruling of its kind. It was followed in 2017 when Colombia’s Supreme Court ruled that Chucho, a spectacled bear, was a non-human person and ordered him to be taken from Barranquilla zoo to a wildlife reserve. But so far, except in South America, objections to animal legal rights have carried the day. These are: that it is unclear which species should get protection and which rights they should get; that giving great apes rights could hamper medical research; that giving some animals limited rights might open the door to giving farm animals a right not to be eaten; and that, if consciousness and cognition give rise to rights, they would apply to artificially intelligent machines, too. This entry was posted in interspecies, philosophy and tagged law by secret santa. Bookmark the permalink.